Shah Rukh Khan’s style usually works around his casual yet classy looks. And he always seems comfortable in whatever he wears. He is suave in his appearance and can carry almost anything and everything really well, something that makes us all go crazy about him. King Khan is usually seen in his subtle and carefree but stylish look and YES, we can’t help but notice his smile and the dimples along with his cool attire and appearance that woos us altogether. SRK’s idea of being not-so-dressed-but-casuals-yes, is what we all have loved over the years and have seen a number of other people trying to ace his looks and have had felt confident enough after doing so. To start with here we have the basic All-black attire where Srk rocks this look with the printed black promotional t-shirt paired with a black straight pant and the comfortable sneakers. Next in line is the coolest and sportive almost monochromatic attire with a Hoodie paired with a lighter shade Cargo pant and White sneakers that compliment well. Who wouldn’t love this easy-go-smart look? Another one with Cargo pants paired with a solid T-shirt layered with a denim jacket and shoes. Damn the denim jacket is carried with an ease by him. Doesn’t he look just like a maharaja with the Turban and a Talwar. The All-black seen again but this time with a jacket that compliments the whole look quite well with the silver zip standing out in style. A basic tri-colour checkered shirt paired with the glares makes him look casual yet stylish. Yeah well, we so wish to have been there with SRK instead of that girl. Don’t we? With Anushka Sharma, SRK manages to look as stylish as his co-star without any extra efforts but just his Cargo pants paired with solid shirts, shoes and his glares. Ufff! If only every guy looked as smart as him with just the minimals. 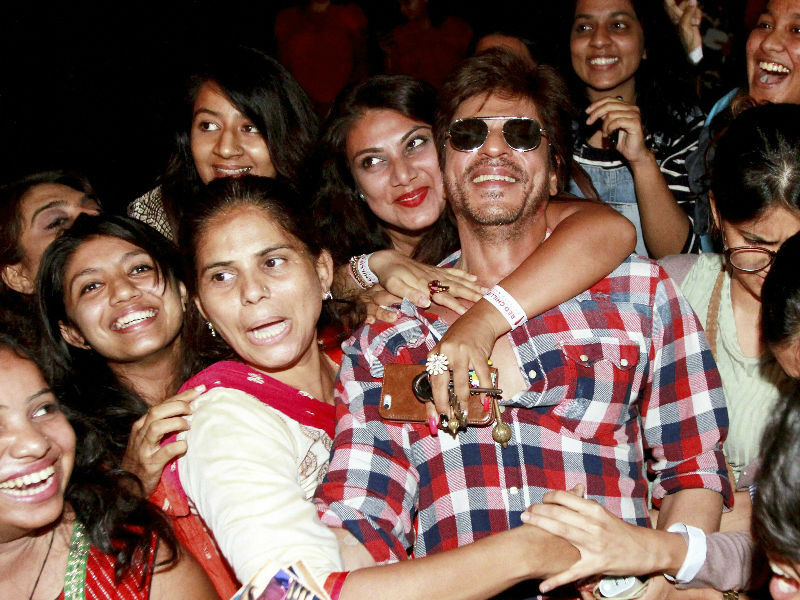 SRK can make everyone go Oh la la with just these basics and a dimple-wala-smile. Right girls? A fun loving Theater artist and a Fashion blogger based in Pune, looking forward to trying her hand at writing about her likes.